The annual free concert series at Montauk’s restaurant/hotel/vacation spot The Surf Lodge returns in 2016 every weekend from Memorial Day Weekend through Labor Day Weekend (and also includes a couple Monday shows on The Fourth of July). The lineup for this year is now announced. Highlights include The Arcs on the Sunday (5/29) of opening weekend, Miike Snow (6/5), Porches (6/25), Lion Babe (7/4), Lucius (7/8), Sunflower Bean (7/9), Hurray For The Riff Raff (7/17), Bombino (7/24), Gallant (8/27), and Beach Slang (9/2) and Gary Clark Jr (9/3) on closing weekend. The Surf Lodge isn’t too far of a trip from NYC, and the bands make for a pretty good reason to get away to Montauk for a weekend. 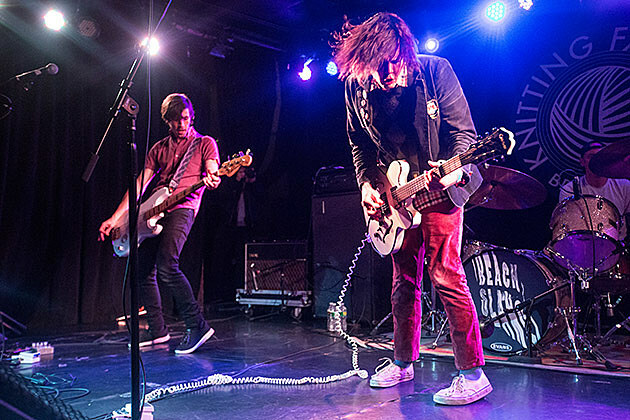 Beach Slang are on tour now and hitting NYC on Wednesday (4/20) with singer James Alex also playing a solo show here that same night. Porches just played here and will again soon at NYU Strawberry Festival with Mitski and more.